Interior Design Archives - Joelle Delbourgo Associates, Inc.
Roberta Sandenbergh is a retired architect who worked in New York and South Africa. Born in Brooklyn (née Stoller), she went to Vassar College, graduated from Pratt Institute’s School of Architecture (as Roberta Bocian) and studied Urban Design at the University of Witwatersrand. After marrying John Sandenbergh, a South African architect, Roberta spent most of her adult life in his country, where she specialized in residential design. One of her projects won the annual Johannesburg Civic Award and two were featured in local magazines, Garden & Home and Habitat. Her career took a detour when she became a beta tester for AutoCAD (Computer-Aided-Design) and was given rights to the program through a network of dealers and training centers. She travelled throughout the African continent, giving lectures and demonstrations. 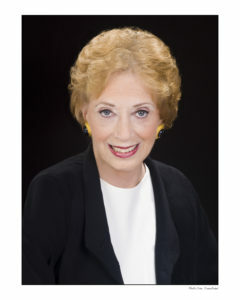 Roberta is known for her illustrated columns on ‘Space Saving Ideas’. They have appeared in the Washington Post (the ‘Design Notebook’ series), the San Francisco Chronicle and the Johannesburg Star. She has also written articles about space saving for SA City Life Magazine and The Home Handyman. After living on 11 acres in South Africa, Roberta was delighted to downsize to a 500 sq. ft. studio apartment in Manhattan. She loves its coziness and efficiency, and is obsessed with maximizing her living space. She says: “I often waste time and sometimes waste money. 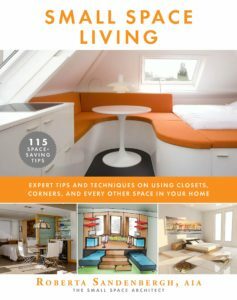 But I hate to waste space.” Her new book SMALL SPACE LIVING: Expert Tips and Techniques on Using Closets, Corners, and Every Other Space in Your Home introduces readers to the space-expanding concept of “Space Opportunities” that allow you to make the most of neglected spaces in your home. 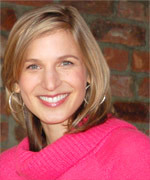 Paige Rien is a designer and author best known for five seasons on HGTV’s Hidden Potential and for her appearances on Curb Appeal. Paige consults with families all over the world to make their homes more personal, reflecting how they truly live. After renovating and restoring many homes together with her husband , Francis, she finds nothing more exciting as a new house project. Paige’s interest in houses was stoked while studying Urban Studies at Brown University. She lives near Washington, DC with her husband, three sons and daughter. LOVE THE HOUSE YOU’RE IN: 40 Ways to Improve Your Home and Change Your Life (Roost Books/imprint of Shambhala Publications, Distributed by Penguin Random House, March 2016).